This year’s King Kamehameha Day Celebration Parade will feature a team of miniature horses from the Therapeutic Horsemanship of Hawai‘i’s (THH) Kona Program. The two miniature horses, better known as Peaches and Calypso, have brought a whole new dimension to the Kona program. Kona Program Director Nancy Bloomfield started the Big Island THH in 2005, which has grown to 38 student participants and 16 volunteers. A pediatric physical therapist herself, Nancy says the addition of the miniature horses has really benefitted the younger riders, who can easier learn to groom, lead and work with a smaller animal. 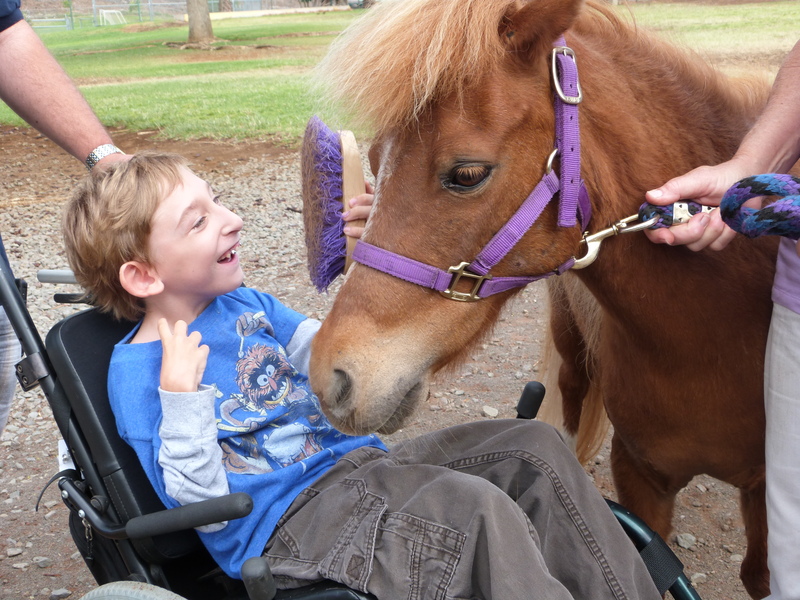 The miniature horses are also being utilized as therapy animals in the community at large, visiting special education classes, the senior center, Arc of Kona, the Regency Special Care Unit and Kona Adult Day Center. Because of their size, they can easily be trailered to any destination, including to the weekly THH program at Horseplay in Honalo.